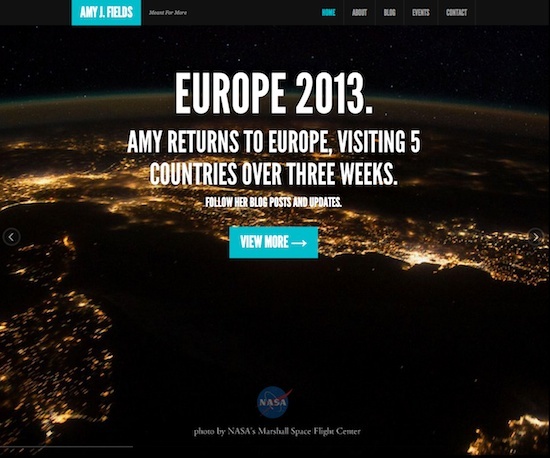 The site for Amy J. 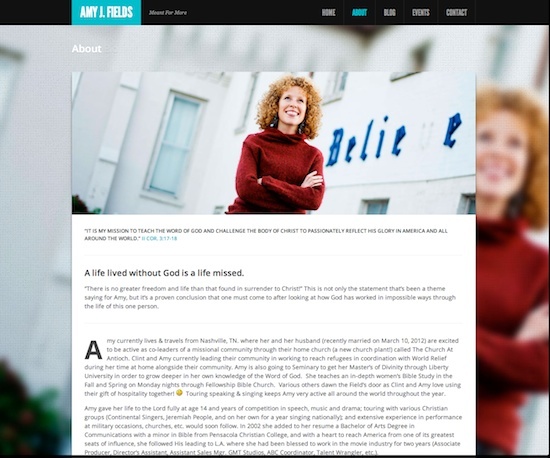 Fields was one similar to Dr. Gail Bones in purpose: a one-person ministry hoping to improve communication from a previous website to a new platform for future work. We landed on Feather by the guys at WP Bandit. The goal with Amy was not just to encourage her organized presence online, but also the organization of her ministry “at home”. This meant lots of things and ultimately furthered our ability to locate files, find and share images, and go from “idea to execution”. Things like password management, file management, Dropbox folders, email folders, syncing notes, iCloud, contacts, photos, calendars, and even iTunes (a little bit), documents, and duplicate accounts for things like PayPal, LinkedIn, etc. were tackled. It’s a need for many organizations and individuals, and we were able to make a pretty good dent in that area. As to the website, this was not a new build but a new install and semi-upgrade in theme and functionality. Akismet helped the initial comment spam that had built up, and Blogger Importer carried over old posts from previous blogs. 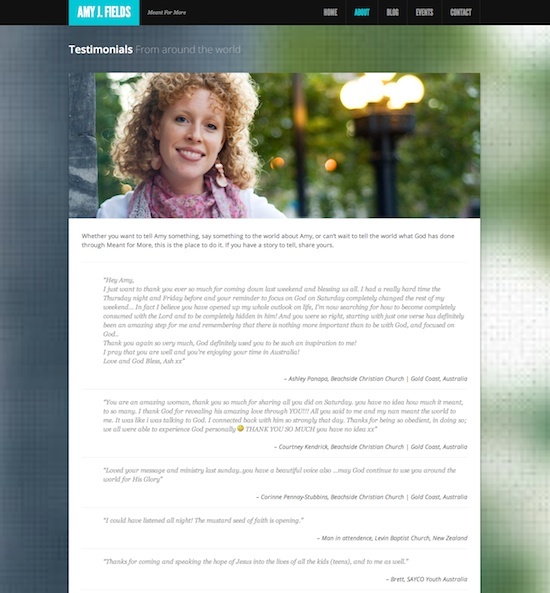 Plugins used included Gravity Forms, All-in-One Event Calendar, RefTagger and the Testimonials Widget (custom post type). In social media, we aimed to streamline Amy’s LinkedIn account, Facebook Page, and Twitter account. Amy J. Fields is a speaker, singer, and teacher with Meant for More, Inc. a non-profit ministry based in Brentwood, TN.